Michelin Star awarded since 2007, quietly elegant offering modern day Irish food and consistently one of Dublin’s finest restaurants. "Just Simply Superb Food". Seasonal Irish ingredients given full French gastronomic treatment on a la carte and tasting menus. 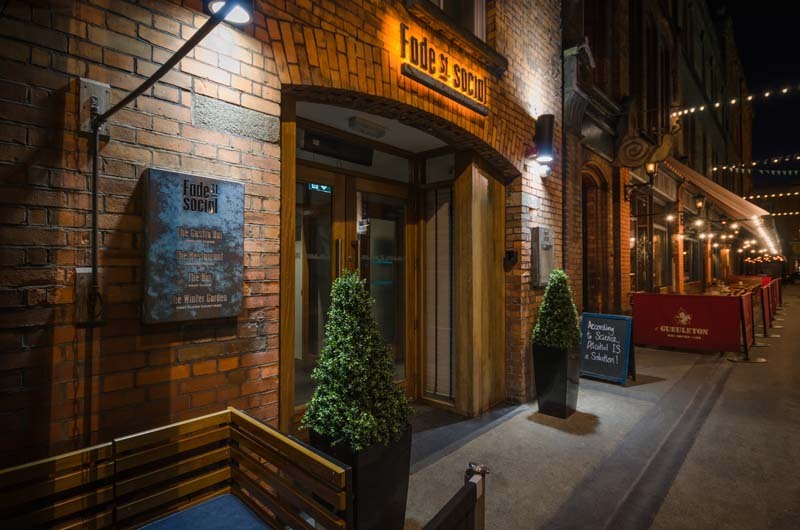 'One of Dublin's best restaurants'. Celebrating Irish food and character, Fade Street offers forward-thinking seasonal cuisine in a cool Scandinavian style. Savvy cocktails and new beers all served up in a quirky and very friendly place. A huge favourite with the locals offering seasonal local classic dishes. Friendly and welcoming staff with a great ambience. Located in an intimate Georgian basement Dax is a terrific fine dining restaurant offering modern Irish-French cuisine with a wine list to match. New, and very Kool, Bar-Restaraunt and Kafe. Scandanavia meets The Orient. There's even a nightclub . . . The Unicorn's menu's are packed with dishes that let you enjoy the best of Italian slow cooking and fresh seasonal products with a few of their own twists. This restauant brings you the real authentic tastes of Itlay in the perfect, secluded city centre location. The Stag's Head, Dame Court, Dublin 2. The Long Hall, South Great George's Street, Dublin 2. The Brazen Head, Bridge Street, Dublin 8. Keogh's, South Ann's Street, Dublin 2. Finish in O'Donoghue's Bar, 15 Merrion Row, Dublin 2, if you can get in? These are all very Old Dublin pubs and will have music and "craic" most nights. For out of Dublin pubs, Gibney's of Malahide or Johnny Fox's in the Dublin hills, are great pubs, allways busy and with a great bar menu, book a table. . . "
Damien is a Director of TTF and has been drinking in these pubs for over 25 years.